This product enables a TEST CANDIDATES to make a single attempt at any MOS certification exam in the application of your choice including Word and Excel Expert Level exams. If you require volume purchase for your school or organization please, contact sales for a tailored solution. Test candidates can purchase bundled products that include learning materials, practice tests, and exam vouchers. 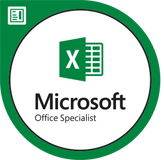 Test Candidates with advanced skills in Microsoft Office Word and Excel applications. While not a prerequisite candidates may want to give serious consideration to certifying at the MOS Core Level in Word and Excel before attempting Expert Level qualifying exams. 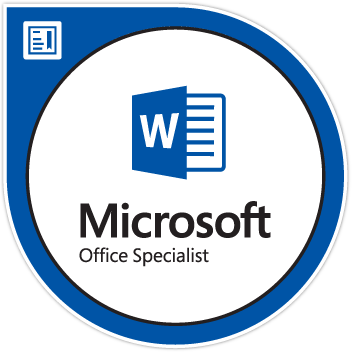 Expert level qualifications are available for Microsoft Word and Excel only however this voucher allows you to sit the exam of your choice in the application of your choice.